For Rabbi Margaret Frisch Klein, the dream of becoming a rabbi, according to a note that her eighth grade teacher wrote, began with her Bat Mitzvah. A college Simchat Torah celebration was so full of joy and life that she called her parents and told them she wanted to be a rabbi to bring that kind of joy to other people. While her parents recognized her teaching and leadership ability, they did not understand the religious dream. They imparted their passion about Jewish history and ethics, the will to survive, and the peoplehood of Judaism. Her dream of being a rabbi took a back seat as life intervened. Although always active in the Jewish and wider community, she wasn't a rabbi. She worked as the educational director in four Hebrew schools and as a marketing consultant for high technology companies. She married. Together with her husband, Simon, they raised a family, owned a business, worked on social action issues, studied Hebrew, and had late night conversations about God. The dream of being a rabbi never went away. She wanted to make more of a difference in the world than she thought she could while working for Fortune 500 technology companies. A clergy friend told her that it was time to "fish or cut bait." The Academy for Jewish Religion, with its commitment to pluralism and second-career students, provided a viable path. Although many saw the obstacles, she focused on the opportunity as a gift and privilege to study with amazing teachers and students who share her passion for Judaism and its relevance today. She unearthed the meaning and beauty of ancient texts, discovering the traditional codes could even answer a question about the kashrut of composting. The reason to pursue this dream was to continue her work on social justice issues. She sees her role in the rabbinate as being a bridge builder and peacemaker, explaining Judaism to the outside world. She has served as president of the Greater Lowell (Massachusetts) Interfaith Leadership Alliance, on the Jewish Domestic Violence Coalition, the interfaith committee of Greater Lowell's Habitat for Humanity, the board of the Merrimack Valley Project (founded on her dining room table), and the Ethnic Covenant. She has helped congregations start Mitzvah Day programs, taken students to the Rally to Save Darfur, served as a Girl Scout leader and trainer, and was High Holiday rabbi for a congregation in Germany. All of these fulfill the dream of making the world a better place and performing tikkun ha'olam. Her internships, with Refugee Immigration Ministry, The Heritage at Cleveland Circle and Congregation Shalom, as well as her work at Congregation Beth Israel as rabbi educator, taught her that being with people in the moment is more important than working on issues. Providing a manicure for a hospitalized grandmother, making deviled eggs for shiva, bringing a congregant challah and daffodils on Friday, helping a Bar Mitzvah student design his own tallit, facilitating conversions or life transitions at Mayyim Hayyim, listening to people's stories—these are about creating sacred time and space. She dreams of teaching that Judaism has a place for everyone, created and loved by the Divine. Finding that love is how people find joy. She brings to the rabbinate her commitment of building a community that is warm and welcoming, non-judgmental and a safe place for everyone to explore their Judaism, engaging people where they are and helping them find meaning in our modern world. 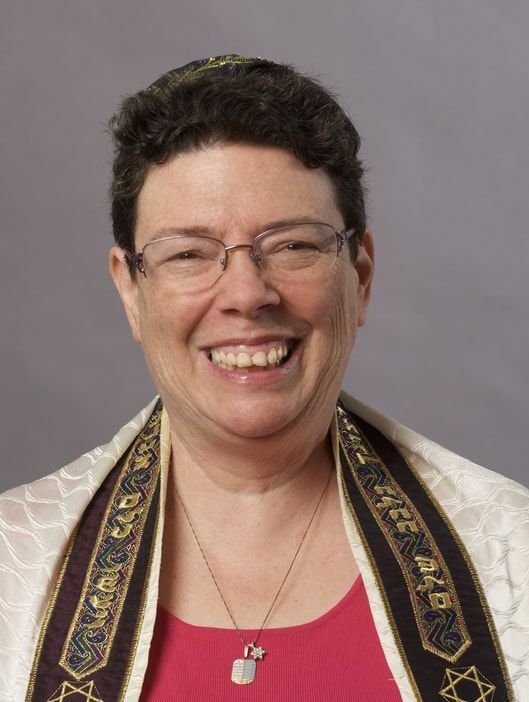 In addition to the rabbinate, she has owned her own consulting business and blogs as the Energizer Rabbi, for the joy of Judaism that keeps going and going and going. She welcomes all questions and is accessible by email, cell phone, in the office, or somewhere else. She believes that perhaps the most important thing we do as Jews is pass that love of life and joy of Judaism to our youth. While she may be in the office, she is just as likely to be out in the community, sipping coffee with a congregant at Starbucks, or maybe McDonalds, or Burnt Toast. Or she might be in the building sitting on a rug teaching a song to a toddler, planting winter rye on Sukkot to explore the agricultural connections to our chaggim, providing arts and crafts supplies to middle schoolers so they can make beautiful ritual objects, or debating the current political issues in Israel with our teens. Her favorite Sunday mornings are ones helping students write their own original blessings for snow or for flowers, She has been known to teach about Maimonides’ eight levels of tzedakah and philanthropy on Super Bowl Sunday while cheering on her favorite football teams. She engages families of all ages with cooking, movies, games, and of course, social action projects. She and her husband Simon are excited about being back in the Midwest, especially Chicago. He grew up in Hyde Park; she in Evanston. They are looking forward to hiking and biking, and exploring both sides of Lake Michigan again. Rabbi Margaret is hoping to take up running again. They enjoy cooking, reading, interfaith dialogue, Habitat for Humanity and theater. Their daughter Sarah recently graduated from Hofstra and hopes once she gets them settled in Elgin to become an actor in Manhattan or maybe Chicago.